Plantronics Blackwire C5220 Stereo USB Headset with 3.5 mm Plug is a communication package structured to be perfect for busy office workers. It offers users with several connectivity options they can choose from, and allows its connection to variety of devices. 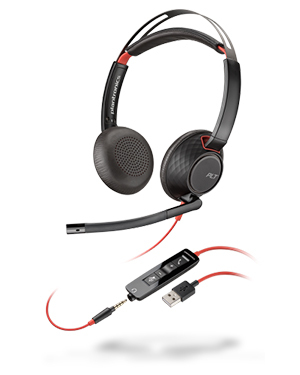 Plantronics Blackwire C5220 Stereo USB Headset offers its users the comfort they need for all-day wearing. This device has an ergonomic design, with padded headband that supports long time usage. This is the factor that helps industries like the call centre industry. It is also perfect for executive assistants, receptionists, and secretaries, not only when it comes to comfort but also in terms of productivity. 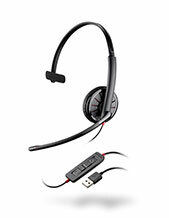 Plantronics Blackwire C5220 Stereo USB Headset is necessary in offices that can be incredibly noisy and distracting. With this device, users can be assured to focus more on work and not the noises around the environment. If you want to find out more details about this device. Call Headsetsonline at Australia wide 1300 131 133 today! 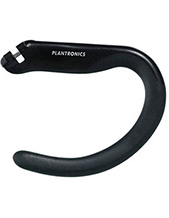 Plantronics operates in the global market with the help of its production and manufacturing factories located in China and Mexico. The company is guaranteed to operate worldwide through the collaboration of retailers, service and telephony providers, partner distributors, wireless carriers, and original equipment manufacturers in over 80 countries in North America, Europe, and Asia Pacific Region. Plantronics started out in the year 1961 and became renowned worldwide in the year 1962, when it became the first company to introduce lightweight headsets in the society dominated by bulky and heavy headsets in the market. Headsetsonline Pty Ltd is an online store that became famous due to its expansive product portfolio and the guaranteed quality of its offers. The company has become one of the best suppliers and wholesalers of audio and sound products and solutions in the Australian market. Headsetsonline started out as a new division of a popular enterprise that is well-known for being the supplier of many government agencies and corporate sectors since the year 1998. From the experience under the enterprise, the company has become knowledgeable on how to excellently provide to the needs of all types of customers in the market. The company offers flat shipping rates Australia wide and avoid hidden charges and surprise fees. 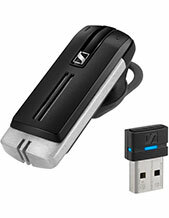 Headsetsonline operates through its site at Headsetsonline.com.au, protected and secured with encryptions. It also uses the same security logins as banks, which includes 2048-bit root encryption and 256-bit identity authentication. It also has GeoTrust True Business ID with Extended Validation.